Hi everyone! 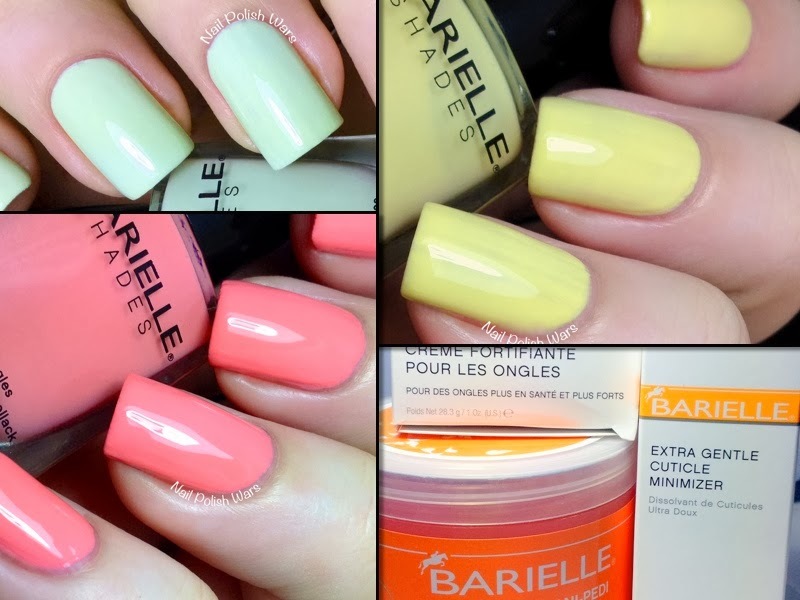 I have three awesome Barielle shades for you today, as well as three of their awesome nail & skin care products! I ended up liking these shades so much that I used them for a bit of nail art that will be up tomorrow!! Banana Drop is a soft yellow creme. The formula was relatively easy to apply, but was a little bit streaky for the first two coats. (But this is pretty typical of most yellow shades.) I love this shade to pieces! I am so crazy about baby yellows right now, and this was a fast favorite. Shown is three coats of Banana Drop. Mint Ice Cream Cone is a pale green creme. The formula was smooth and easy to apply. To me this one leans a bit more towards pistachio than mint, but that's just my opinion. No matter though, because I am just crazy about this shade! Shown is two coats of Mint Ice Cream Cone. Peach Pop is a peachy pink creme. The formula was smooth and easy to apply. I adore this color! 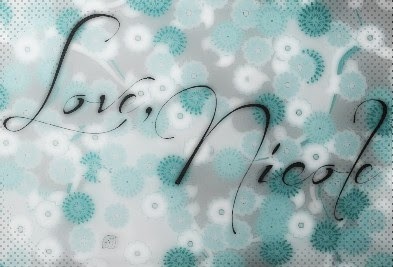 It's not overly girly, but it's still really sweet - and that's a huge plus for me! Shown is two coats of Peach Pop. I also had the opportunity to try three of their nail & skincare products!! This is my first time trying any of their non-polish products, so I was really excited to see how they would work for me. and the 60 Second Mani-Pedi Scrub. The Extra Gentle Cuticle Minimizer Gel is awesome! I had a couple of rougher spots on the cuticles on my right hand and this smoothed them out immediately, and left my skin feeling really soft. It has a light fresh scent that isn't overpowering. The Nail Strengthener Cream has a bit of a whipped consistency, so it went on really easy and my skin drank is up at once! It didn't leave my nails feeling greasy either, which is a major plus! I love the light smell that has a bit of a sweetness to it too! The 60 Second Mani-Pedi Scrub is great! The scrub itself was actually more gentle than I thought it would be. My hands felt amazing after using it! And the mandarin scent isn't too citrusy, which was perfect for me! I know how much time we can spend on nail and skincare. All of these were quick uses, so I didn't need to spend a heap of time on getting my hands and nails to look and feel great! You can find these and other great Barielle shades and products at their storefront here. Nice swatches and review! Those are pretty shades! I am such a sucker for those pastel polishes. I love them! They are so fresh looking. I have been more than ready to say goodbye to holiday and/or winter colors. Am loving the new collections coming out. I've heard good things about this barielle product. Going on my wish ♥ list now.